_MAL8101.jpg, originally uploaded by Michael A. Lowry. 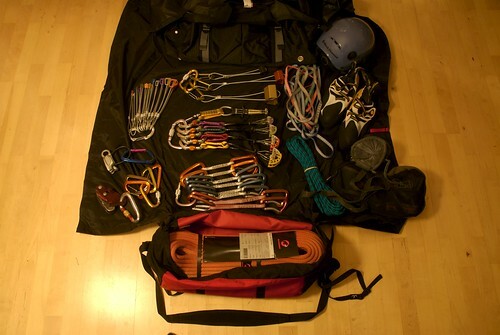 Here's my climbing bag, including some new goodies I picked up in Massachusetts. I plan to take a course in traditional climbing soon so that climb a wider range of routes, including those that lack bolts or other permanent anchors in the rock.